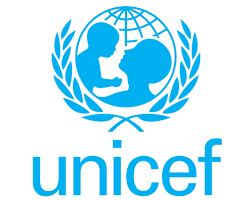 The United Nations Children’s Fund (UNICEF) has pledged its readiness to partner with Kano Emirate Council to enhance birth registration across the 44 Local Government Areas of the state. The UNICEF Media Director, Alhaji Rabi’u Musa, made the pledge at a stakeholders meeting on Strategic Planning for media campaign on Birth Registrationin Kano on Wednesday. The meeting was organised by the National Population Commission (NPC) in collaboration with UNICEF as part of effort to review success and challenges in the exercise. He said the collaboration was necessary in view of the fact that traditional rulers had a key role to play to improve birth registration in the state. 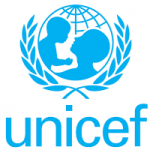 He said that UNICEF was committed to providing moral, technical and financial support to improve birth registration in the state in view of its importance. “We are looking at what we can do to improve our lives and collectively we can work to make a difference,”he said. Earlier, the Head of Department, Vital Registration, NPC, Kano, Hajiya Raliya Gambo, said Act 69 of 1992 empowers the commission to establish vital registration systems across the country. The Act stipulates the role of health sector to give information on births and deaths. She said birth registration has a lot of benefits as it will enable people to obtain passports, credit facilities as well as basic services, such as immunisation, heath care and school enrolment at the right age, among others. “Birth registration gives access to schools, hospitals, jobs and other social services,”she said. Also speaking, the Emir of Kano, Muhammadu Sanusi II represented by the District Head of Makoda, Alhaji Wada Waziri, expressed concern over the lukewarm attitude of people toward birth registration. He called on all stakeholders to sensitise people in their various areas on the importance of the exercise. He said the Emirate Council had already set up a committee to enlighten people of the state on need for them to always register their children in view of its importance to socio-economic development of the country. Newsmen report that the meeting was attended by traditional rulers, representatives of the ministry of health and various media organisations in Kano state.